Will you speak up for the third season of the Speechless TV show on ABC? 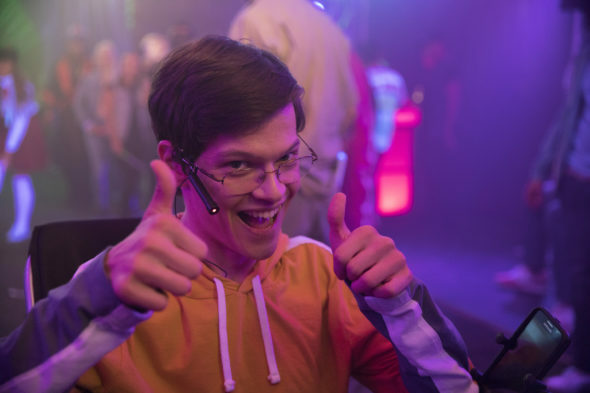 As we all know, the Nielsen ratings typically play a big role in determining whether a TV show like Speechless is cancelled or renewed for season four. Unfortunately, most of us do not live in Nielsen households. Because many viewers feel frustration when their viewing habits and opinions aren’t considered, we’d like to offer you the chance to rate all of the Speechless season three episodes for us here. An ABC sitcom, Speechless stars Minnie Driver, John Ross Bowie, Mason Cook, Micah Fowler, Kyla Kenedy, and Cedric Yarbrough. Maya DiMeo (Driver) is a no-nonsense mom who will do anything for her family: husband Jimmy (Bowie), brainy Ray (Mason Cook), athletic Dylan (Kyla Kennedy), and teenager JJ (Micah Fowler), who has cerebral palsy. The third season kicks off with the DiMeo family and JJ’s aide, Kenneth (Yarbrough), heading to London to meet up with Maya’s estranged father, Martin (John Cleese), to ask him for some help. This year, Maya also has to come to terms with how fast her kids are growing up. What do you think? Which season three episodes of the Speechless TV series do you rate as wonderful, terrible, or somewhere between? Should ABC cancel or renew Speechless for a fourth season? Don’t forget to vote, and share your thoughts, below. More about: Speechless, Speechless: canceled or renewed? Please renew this show!!! This show is uplifting, entertaining, funny and serious all at the same time and the characters are endearing. Simply marvelous, fun entertainment! Love this show. It is different from so many others. I like the view of their day to day life and shows a side of disability that one might not normally consider. But it is not “preachy”, which I appreciate. Truely funny and I love all the characters. Can’t decide who I like most! Please keep it available to us! Omg i said this to my mom whn i tol her about it. Like i dnt have a fav character because I genuinely love them all! !